The biggest sale of the year is here! With any $60 purchase, get your free item! Choose from stamp sets, designer paper, kits, accessories, etc! Click here to see the Sale-a-bration catalogue. Join me for my next card class on February 7th to try some of the free items! Get yours! Please email me by February 4th at julie_olivier@hotmail.com to reserve your spot! We also have a brand new Occasion catalogue! Find out more here! 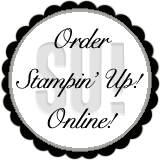 Stampin’up is offering some new exclusive products for the month of November only! Get yours before it’s too late. For all details on the products and price, see this pdf. The new 2018-2019 catalogue is here! The arrival of a new catalogue is always exciting! Have you seen all the new colors? Click here to see it online! Or shop online here! If you prefer, check the French Version! Join me for a Card Class on June 19, at 7:00pm and get your free copy with a minimum purchase of $25. Please register by email before June 15 at julie_olivier@hotmail.com. Retiring List- Get them before it’s gone! The new catalogue is coming June 1st! You know what that means! Some stamp sets will be retiring! So don’t wait, get them while you still can! The stamp sets are guaranteed until May 25 while the rest of the items is while quantity last only. To see the full list of retiring item, click links below. Also, something very important to know! The ink pads are getting a new look! That’s why you will see every ink pad on the retiring list! But don’t worry, only some colors are being discontinued. Here’s the list of discontinued colors, make sure to stock up on your favorite! The good news is that some retired colors are coming back! Before I let you go, here’s a card with one of my favorite stamp set retiring… Butterfly Basics . The background is also the color I’m the most sad to see go: Island Indigo! To see more cards with this stamp set, click here! Some items are on sale only for 24 hours on November 20. Don’t miss out!!! The Sale-a-bration sale is on until the end of March!!! Get your free items with any purchase of $60.00! Here’s the deal: for every $60 CAD you spend (before tax and shipping), you get a FREE Sale-A-Bration product. That means it’s the perfect time to purchase those products you’ve had your eye on while earning more products for free. The complete list of items are available in this mini-catalogue here. It’s the best time of year to join Stampin’ Up! During Sale-A-Bration, you can become a demonstrator for just $135 CAD and choose TWO additional stamp sets for your Starter Kit—any stamp set, any price! (Excludes Sale-A-Bration sets and bundles.) Plus, the kit ships for free! Last week, 3 more items more released! See then, right here! Do you like glitters? You will be happy to get this pack of 12 6″x 6″ glimmer paper (4 of each 3 colors) for free!! !